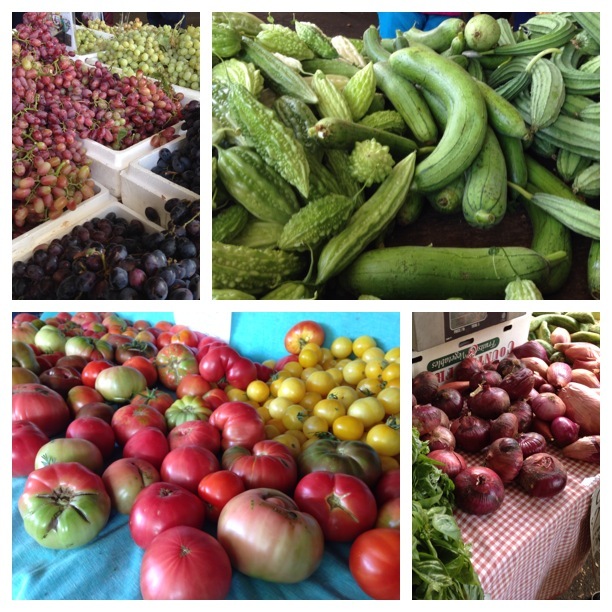 Sacramento is kicking off its inaugural Farm-to-Fork week, Sept. 21-29. It’s the city’s attempt to become a culinary capital, a major destination to grub. Hard. And with quality ingredients. This event is not just focusing on food, but changing the culture of how we eat and live. From special event tastings, festivals to Farmer’s Markets — Local businesses are embracing the concept in a big way. All this week, Sacramento will be flourishing with restaurants throwing down their freshest, locally sourced dishes. Think: ripe, succulent, mouth-watering and just plain delicious! 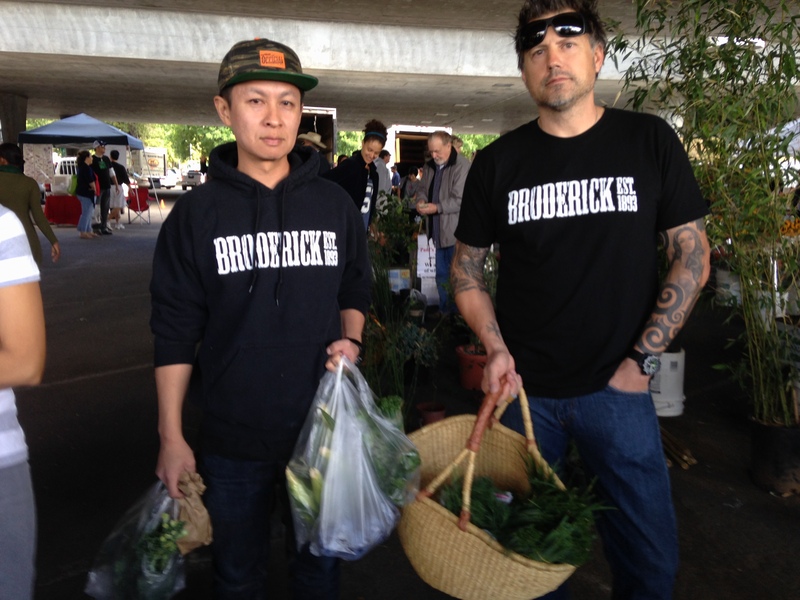 Check out who I ran into at the market today; owners of Broderick Roadhouse in West Sacramento, Matt Chong and Chris Jarosz. They were getting their fill at the Farmer’s Market. They’re also at the forefront of the Farm-to-Fork movement. Don’t let that tough exterior fool you, they are true foodies and truly nice guys. So, get your utensils ready! Be it a fork, spoon or chopsticks — there’s plenty of good eating (and drinking) that’s about to go down. ← We Will, We Will ROCK YOU!